This is the form to become a NPLL General Member for the Fall 2018 - Spring 2019. For a $5 fee a General Member of North Park Little League can nominate or be nominated to the Board of Directors and can vote for the nominated Board of Directors. Thank you for your interest in helping our Little League and the children of the North Park community. The 2018 All Star SUDS & SOCIAL - our largest fundraiser event of the year! 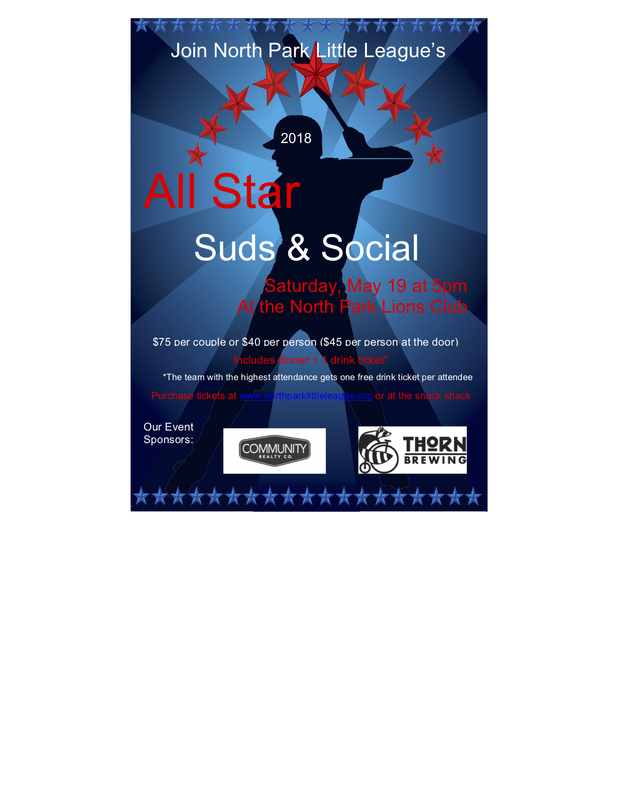 North Park Little League invites you to the All Star Suds & Social at North Park Lions Club (3927 Utah Street) on Saturday, May 19, 2018 at 5:00 PM. There will be great music, dinner and a silent auction. TICKET DISCOUNT HAS BEEN EXTENDED TO May 1! ...and Community Realty joins them as our Suds & Social Sponsors. This year's proceeds will be used to purchase new equipment and make continued improvements to our Snack Bar and fields. Tickets are $75 per couple or $40 each, prior to the event. 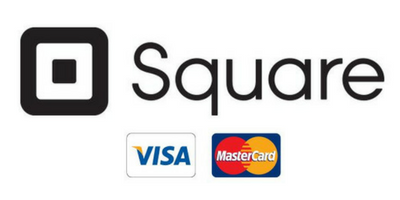 Click on Square to pay online. The price per ticket is $45 on the day of the event. Attention Team Parents and Managers! Each year we ask each team to put together a basket that gets auctioned off during the Gala. Baskets usually contain a number of items around a theme. Some teams are able to get donated items through connections from other team parents which greatly increase the basket’s value. It is always good to ask for donations. CLICK HERE for a DONATION REQUEST FORM to give to businesses. As another alternative, your team can make a financial donation to NPLL if you would prefer (you can purchase the team donation at the Snack Shack). A suggested donation would be $10 to $15 per player. Please make checks payable to North Park Little League. Click HERE for a Team Basket form to include with your basket. The form will be displayed during the auction so that bidders can clearly understand what items are included and the estimated value. Please turn in your form and basket (or financial donation) on Saturday, May 12th or Saturday, May 19th at the field from 9am until noon or at the Lions Club - see details below. Deliver to the Snack Bar on Saturday, May 12 or Saturday, May 19, 2018 from 9am to noon. Deliver to the Gala venue (North Park Lions Club - 3927 Utah Street) on Saturday, May 19 between 2pm and 5pm.